Before applying for a loan, make sure you’re an informed borrower. Check out our guide that goes over what you need to know about personal loans. There are a surprising number of things most don't realize about personal loans, including when and how to use them properly to pay less interest, get out of debt faster, and save more money for the long haul. This article is a collection of advice on personal loans, and information you need to know before you apply. Equipped with this knowledge, you'll have an extra tool in your financial arsenal to help overcome financial setbacks and take charge of your financial future. It may sound counterintuitive, but taking out a personal loan can actually help improve your credit score, so long as you're smart about it. If you have a sizable amount of credit card debt, consolidating those balances using a personal loan can be wise. Financial writer Jane Brown of the money smarts blog Bargain Babe explains how people who use all or most of the available credit on their credit cards can have a lower credit rating (via the "credit utilization ratio"). As an installment loan, a personal loan also has a higher standing on a credit report than do credit card accounts. So, by consolidating your debt from multiple credit cards onto one personal loan payment each month, you may be able to raise your credit rating—not to mention simplify your finances. 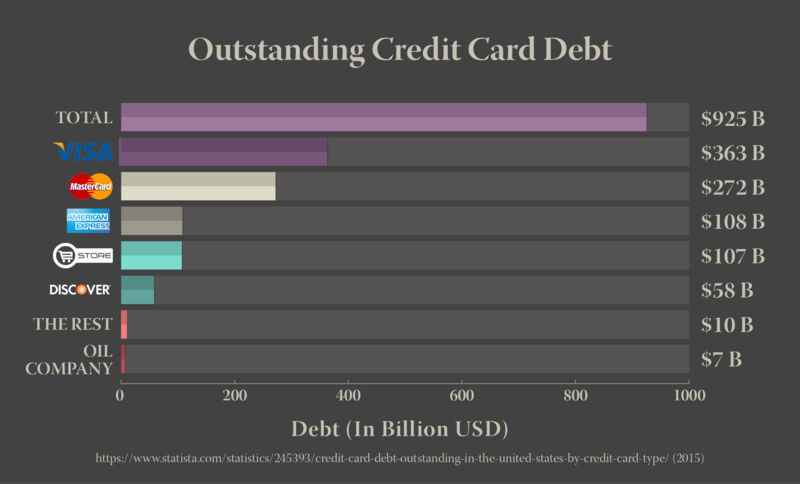 Borrowers who use all or most of the available credit on their cards take a hit in their credit rating. So if you owe $10,000, it looks better to credit bureaus as one personal loan than it does as 10 credit cards spent to their limits. The debt is the same, but the manner of borrowing matters, too. It's a thinly veiled secret: credit bureaus make mistakes! There may be old debts listed on your report that should be dropped off per your state's statute of limitations, or you may be carrying a debt that actually belongs to someone else with a similar name. Another mistake that can appear on your credit report is the same debt reported multiple times, which can make your overall debt look larger than it truly is. This can happen when, for example, you have defaulted on an account and the original account holder reports the debt along with the collection agency to whom they've turned over your account. Pauline Paquin of blog Reach Financial Independence explains how it's your right to examine and correct credit bureau's mistakes. Always start with the credit bureaus and follow the systems they have in place for disputing entries, she says. "There is a right way and a wrong way to go about the process," Paquin said. And remember, it can take up to 30 days for a credit agency to fix an error, so be diligent and patient. Make sure you are proactive in reviewing your credit report for errors so you can take steps to correct them before you ever need to apply for a personal loan. Doing this can mean the difference between receiving your loan or being turned down. According to the Federal Trade Commission, 25% of consumers have found at least one error in their credit file. The kinds of errors that can cause you to lose out on a personal loan include things like payments being reported incorrectly and closed accounts still showing up as open, said Rebecca Lake of Smartasset.com. "Inaccuracies involving late payments are particularly dangerous since these can cause your credit score to drop," she said. Another factor that a lender will consider when reviewing your personal loan application is your credit utilization ratio. Simply put, your credit utilization ratio is the amount of available credit you have (such as on credit cards) compared to the amount of credit you're using at any given time. You might be surprised to learn that even if you're paying off your credit card balances each month, this ratio can still look bad to potential lenders. As an example, if you regularly charge more than 50% of your credit limit, this is the amount that the bank reports to the credit bureaus. When you make that a habit, your credit utilization ratio will be way too high. Ideally, you should keep your ratio under 30%. Lenders want to make sure your credit history shows responsibility. One of the best ways to lower your credit utilization ratio is to apply for additional credit, said G.E. Miller, a blogger for 20 Something Finance. You can do so by asking your credit card providers to increase your credit limits, or by applying for another credit card, Miller advises. If approved for more credit, you'll just need to keep your spending consistent so you can keep your credit utilization ratio low. Don't fall into the common trap of charging more just because you can. To make the best choices about when to use a credit card and when to use a personal loan, you need to understand the differences. A credit card is what's known as "revolving debt," in that you can use that credit over and over, provided you pay it off. You may choose to pay the minimum payment, the full balance or some amount in between. A personal loan, on the other hand, is a one-time, lump-sum amount that you receive upfront and then make monthly payments in a pre-set amount. Personal loans are ideal for bigger purchases that will take you more than a year to repay, said David Weliver, a writer for Money Under 30.
Credit cards should be used for purchases you can easily repay in a year. If you make the mistake of using a credit card for a purchase that is too large, you will likely end up paying much more in interest over the course of your repayment period versus a personal loan. Imagine $10,000 of credit card debt at a rate of 13%, paid off in four years: You'll pay $2,385 in interest! That same debt at the lower personal loan rate of 7% would mean only $1,118 in interest. You, my friend, just saved over $1,000! 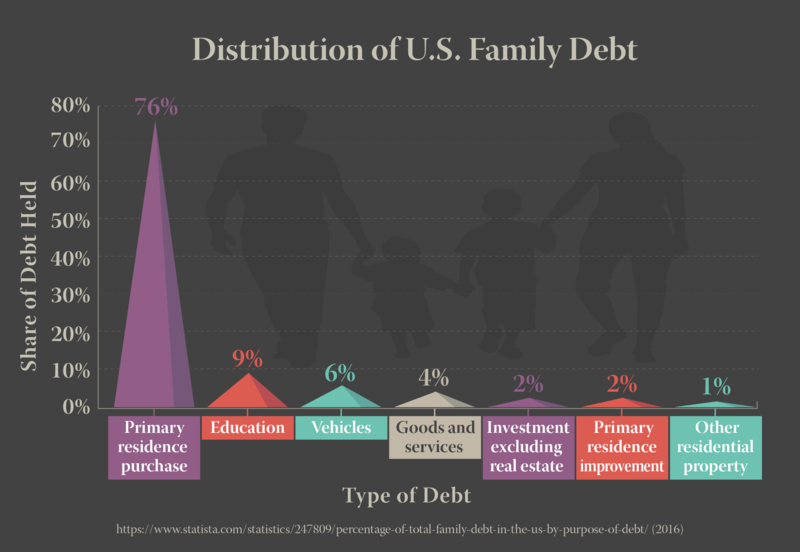 The average American household has $90,000 of debt, according to Matthew Frankel, blogger for the financial site The Motley Fool. If you find yourself in this category and have a lot of high-interest debt that you're struggling to keep track of, taking out a personal loan at a low percentage rate may be a good option. If you have, for example, a car loan, student loan, and several credit cards that you're making the minimum payment on each month, it could take you years—and cost you thousands of dollars in interest—to pay it all down. But, when you borrow on a personal loan, you can pay these multiple balances off at one time and then potentially save money long-term in lower interest rates and a shorter loan term. Using a personal loan to pay off your credit card balances can help you with budgeting, according to James of the blog Clever Dude. He says the fixed rate and monthly payment are more advantageous than credit card balances, which can burden you for years if you only make the minimum payment. What's more, taking out a personal loan to pay off high-balance credit cards can also help improve your credit utilization ratio— as long as you're diligent about not charging more to those credit cards you just paid off. Credit agencies will look at the number of credit cards you have, and see that you are not maxed out to the limits on them, which will in turn make you look more judicious about how you use available credit. When it comes time for you to apply to a personal loan lender, shopping around for the best option for your situation is important. At the same time, make sure you don't apply for too many loans at one time. While you won't be bound to accept a loan for which you apply, your credit rating may take a hit each time a potential lender pulls your credit report. You don't want your credit history showing too many inquiries. As Emma Lunn, a financial blogger for the British online magazine The Independent points out, applying for several loans or other lines of credit in a short period of time can make it look like you're having financial difficulties. Of course, this doesn't translate well to a bank or credit union that wants to be confident that you'll be able to make your monthly payment. Take the example of buying a car, and having the dealership submit your credit application to several different lenders all at once. While they are "just trying to help you get the best rate for your auto loan," the dealership is really hurting your credit score. That's because everytme time you apply for a loan, your credit score will drop. The process, called a "hard inquiry," lowers your scores. The inquiries stay on your credit report for two years, and it will affect your score for a full year afterwards. So don't damage your financial status by applying for everything under the sun. Compare rates and terms that multiple lenders are offering, but try to only put in your application to one or two institutions. Whether or not you're planning to apply for a personal loan in the near future–or ever–you should make it a priority in your financial plan to improve your debt-to-income ratio. Simply put, this ratio is the amount of outstanding debt you have, including mortgage, auto loan, student loan and credit card debt, compared to the amount of money you make. The higher your debt-to-income ratio, the harder it will be for you to get a personal loan. Alexa Mason, a personal finance blogger for Single Moms Income, explains that your debt-to-income ratio doesn't actually affect your credit score. At the same time, your debt-to-income ratio is one key metric that lenders will analyze when they're reviewing your application. You should strive for a debt-to-income ratio below 43%. Use CreditLoan's free personal loan calculator to help you do this. Looking to reduce yours? Coming up with an actionable plan for paying down your debt is the best way to do so. Another point that is not outlined when you do a simple online search. Another big step you can take is putting down a bigger down payment. In this case, your loan amount would be less so the lender would be taking less of a risk on a bad credit rating. Even with moderate to good credit, offering to put more money down on a personal loan may help you get a lower annual percentage—reducing your overall cost of the loan. If you're not already working within a budget that you've carefully crafted, there's no time like the present to get a better handle on where your money is going each month. Ashley Eneriz of Everything Finance explains how a budget helps you clearly pinpoint where you need to save and where you can afford to spend. 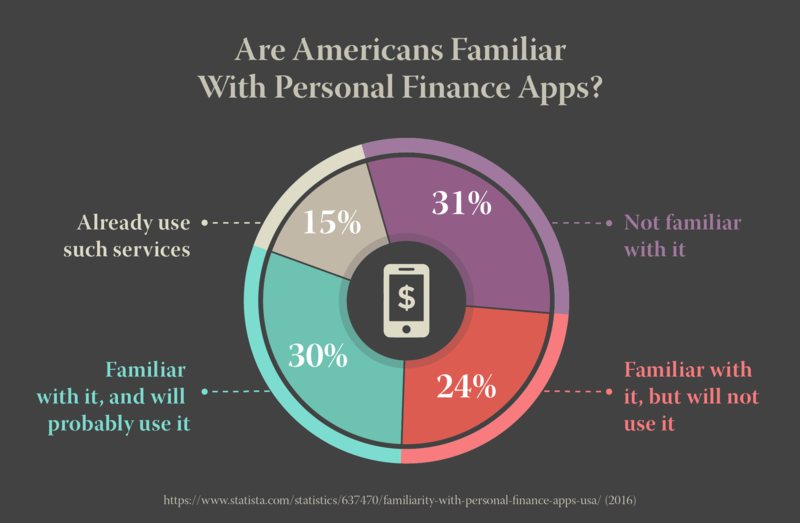 Whether you're using an old-fashioned spreadsheet or a handy financial mobile app, you need to account for every dollar that goes in or out of your accounts. Financial blogger James of the lifestyle blog, Clever Dude, points out that you must have a clear picture of your finances to be sure that a personal loan you take out will fit into your budget. Make sure you can afford that extra $300 loan payment each month for the entire loan term well before you ever sign your loan agreement. When it comes to the legal jargon of financial documents like a personal loan agreement, it can be tempting to gloss over terms you aren't familiar with. They may sound harmless enough, but you simply must have a clear understanding of what these things are, and how they impact you and your finances. An origination fee can hide itself behind a wide variety of names: service fee, closing fee, setup fee or commission fee. Jason Patterson, a writer for the blog Good Financial Cents, explains that the origination fee is the amount that the lender charges the borrower for issuing the loan. It's important to realize that the fee—almost always a percentage of the borrowed amount—comes right off the top of your loan, so that's less money you'll be receiving as a lump sum, even though you'll be charged interest on it as part of your total loan amount. That being said, make sure you have a clear understanding of the origination fee you'll be charged – and try to negotiate it down if you can. Another trick to watch out for when it comes to personal loans are pre-computed interest. This term reflects the total amount of interest that you would pay over the entire loan term is calculated and added to the balance up front. So, if you pay off your loan before the term, you'll end up paying a higher interest rate than you were originally quoted since the interest is essentially "front-loaded" to your loan period. Ask upfront and outright if the interest on your personal loan will be pre-computed. And, if you find out this applies to a personal loan you're considering, don't be afraid to walk away from the deal. While the majority of personal loans are unsecured, it's important that you understand both secured and unsecured loans. A secured loan is one that is backed by collateral, such as a home or vehicle: A car loan is a secured loan. An unsecured loan is one that does not require collateral. Not surprisingly, unsecured loans—the type of loan that most personal loans are—have higher interest rates because loan companies perceive them as riskier. A private student loan is another form of unsecured loan because there is nothing to repossess if you default on payments. If you have an option when it comes to the type of personal loan you will take out, consider the pros and cons of an unsecured personal loan. On the plus side, if you default on the loan, the bank can't seize your assets since you didn't put up any collateral. But, it can be harder to get approved for an unsecured loan and the interest rate will likely be higher than a secured loan. Remember, you don't have to do all of this at once. For now, choose just one action item from this guide to start implementing today and add another once you've mastered this step. For example, if you haven't gone through your credit reports from all three credit bureaus with a fine-toothed comb to check for errors and out-of-date information, do that first. This financial journey you're on lasts a lifetime, so try not to get overwhelmed thinking you need to do everything today, this week, or even this month. Take these tips one at a time, and you'll find yourself well on your way to improved financial health. Interested in learning more about personal loans and improving your credit? Check out our Beginner's Guide to Personal Loans. Has a personal loan ever helped you get out of a tight spot?